Pretulite: Mineral information, data and localities. For the mountain Pretul (1656 m), the second highest elevation in the Fischbacher Alpen Mts, in which the type locality is situated. 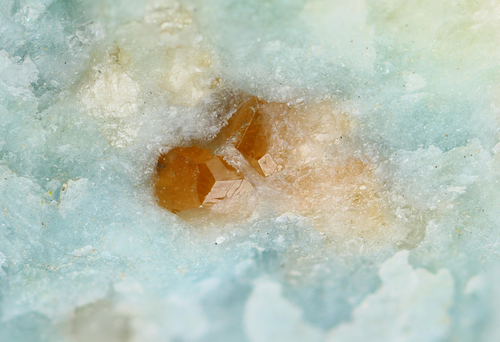 Pretulite was first discovered at Fürstenbauer, located on the northwestern slope of Pretul Mt. However, the material from Höllkogel proved to be more suitable for the characterisation as a new species, so this was chosen as the type locality. This page provides mineralogical data about Pretulite. Lazulite 5 photos of Pretulite associated with Lazulite on mindat.org. Quartz 5 photos of Pretulite associated with Quartz on mindat.org. Clinochlore 2 photos of Pretulite associated with Clinochlore on mindat.org. Xenotime-(Y) 1 photo of Pretulite associated with Xenotime-(Y) on mindat.org. Goyazite 1 photo of Pretulite associated with Goyazite on mindat.org. Crandallite 1 photo of Pretulite associated with Crandallite on mindat.org. Apatite 1 photo of Pretulite associated with Apatite on mindat.org. 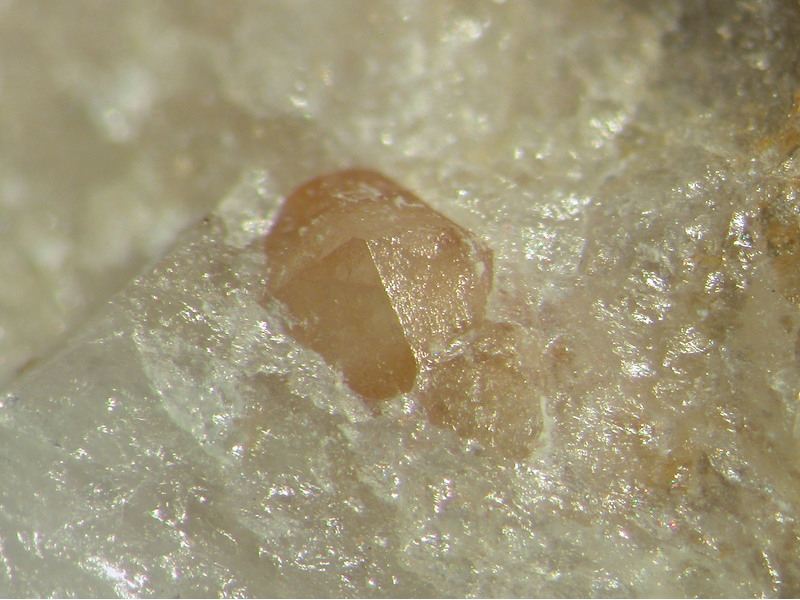 F. Bernhard, F. Walter, K. Ettinger, J. Taucher & K. Mereiter (1998): Pretulite, ScPO4, a new scandium mineral from the Styrian and Lower Austrian lazulite occurrences, Austria. American Mineralogist: 83: 625-630. Canadian Mineralogist (2002): 40: 1657-1673. Výravský, J., Novák, M., and Škoda, R. (2017) Formation of pretulite (ScPO4) by recrystallization of Sc-rich precursors in Dolní Bory pegmatite: Evidence for different mobility of Sc, Y, REE and Zr in hydrothermal conditions. Chemical Geology: 449: 30-40. Bernhard, F. (1998): Paragenetische, mineralchemische und röntgenographische Daten von Bearthit vom Lazulithfundpunkt am Rotriegel, Freßnitzgraben bei Krieglach, Fischbacher Alpen, Steiermark. Mitteilungen der Abteilung für Mineralogie am Landesmuseum Joanneum, 62/63, 49-54. Novák, M.: Niobový a tantalový rutil – hojné variety rutilu. Minerál, 2004, roč. 12, č. 6, s. 428-431. Novák, M.: Niobový a tantalový rutil – hojné variety rutilu. Minerál, 2004, roč. 12, č. 6, 428-431. E. Gloaguen : "Original Mineralogical Features of a Hydrothermalized Oolitic Ironstone : The Deposit of Saint-Aubin-des-Châteaux (Armorican Massif, France)", 5th International Conference "Mineralogy & Museums", Paris, Sept. 5-8th 2004, Bull. de Liaison de la Soc. Franç. de Minéralogie et Cristallographie, 2004, Vol 16, N°2. 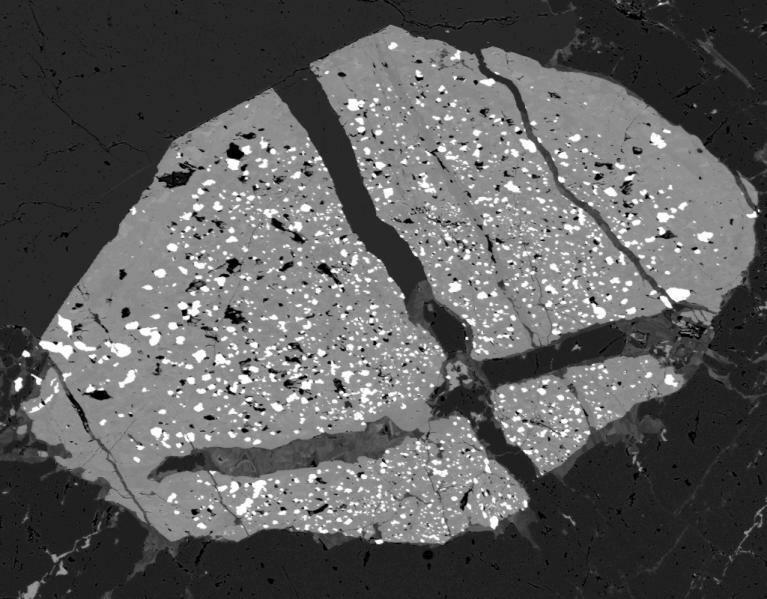 Takahiro Tanaka, Masato Nagahara, Haruo Takahashi, Masahiro Hashimoto, Takashi Yamada, Ritsuro Miyawaki, Koichi Momma, Masako Shigeoka, Akiko Tokumoto, Satoshi Matsubara (2015) Sc phosphate minerals in hydrothermal quartz veins from Satsumasendai City, Kagoshima Prefecture, Japan.